Many have tried it and all have fallen in love with it. Cerebral clarity and an uplifting energy accompany this powerful strain. This will certainly send you into an otherworldly orbit as its pungent fragrance offers notes of woodsy earthiness. Great for treating anxiety, depression and mood disorders. Moonrock is easily one of the most powerful cannabis products on the planet. 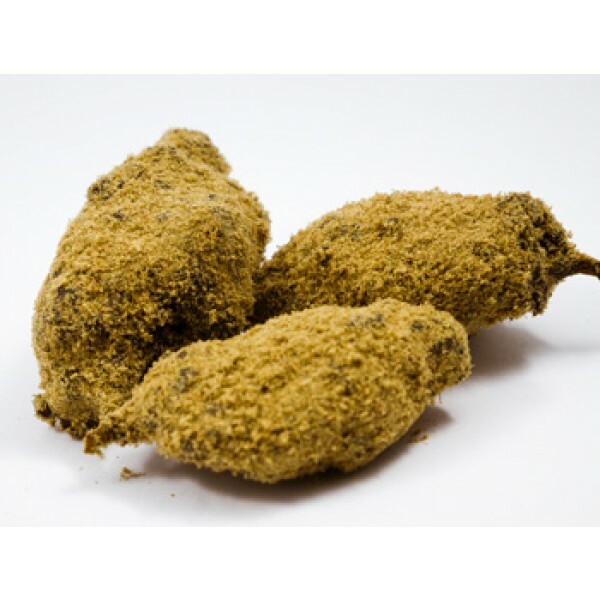 They have taken cannabis bud that is kicked it into high gear by mixing it with the hash oil and kief. This process leads the product to carry a 51.2% + THC rating. In small doses, this is effective in pain reduction, stimulating appetite and nausea reduction. Made with: – BC Terpenes (various flavours) – Cherry Oil – Anti-Matter Bubble Hash For the best taste and smoke, it is recommended to use a hash bowl or pipe, along with not breaking down the bud with a grinder as you will lose most of the kief in that process. 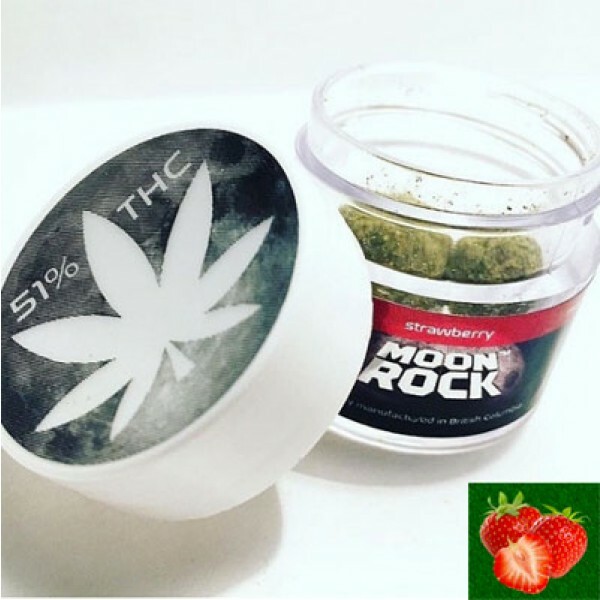 Rock hard, hand picked, super dense bud, and carefully paint it with a combination of natural terpenes and cherry oil. Once it is completely covered, it's rolled in the bubble hash from Bubba Kush. It cures, hardens and becomes one of the most potent, longest burning, flavourful and unique smoking experiences you could hope to find.